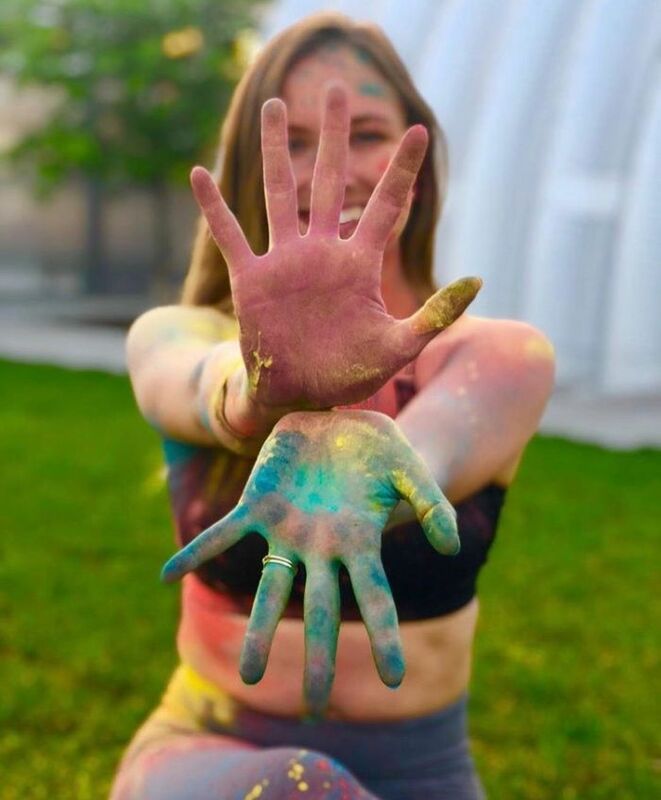 We just love all the fun that our customer’s have with our color powder! Our team enjoys living vicariously through your pictures and videos of all of your amazing events. When we ran across Flow In Color we just had to share! 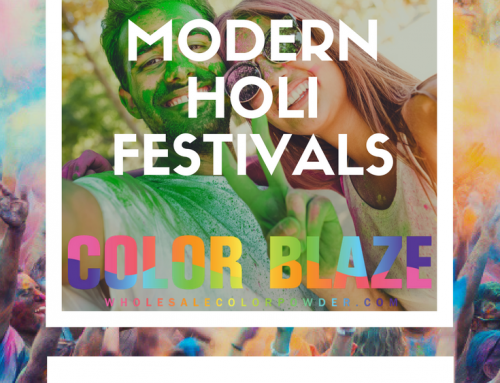 We have seen Fun Runs, Color Wars, Holi Festivals, Photo Shoots, Pep Rallies, Gender Reveals and more, but we had never seen Yoga and Holi Festival Powder together. 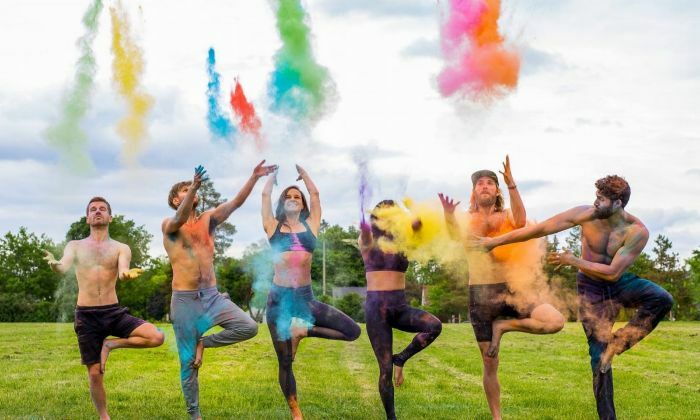 Once we saw Flow In Color and talked to founder Kara Baruzzini we were ready to hop a flight to Ann Arbor, Michigan to experience Yoga with a festive mood. Kara teaches yoga and she wanted to create a Sangha Experience (Sangha means community in Sanskrit.) So she runs retreats, holds, workshops and runs the festival. The inspiration for this unique celebration came when she saw a YouTube video on a large Holi Festival. 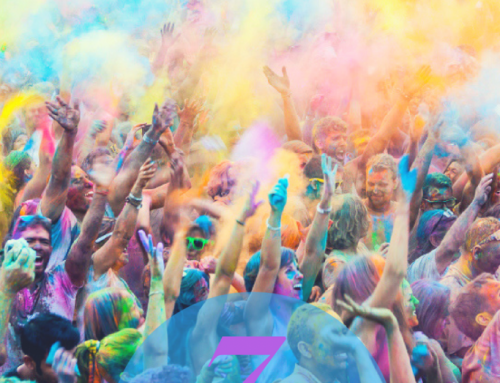 Saturday, June 09 will be their 2nd Annual Flow In Color festival. Traditionally, Holi is celebrated as the beginning of Spring or New Life. 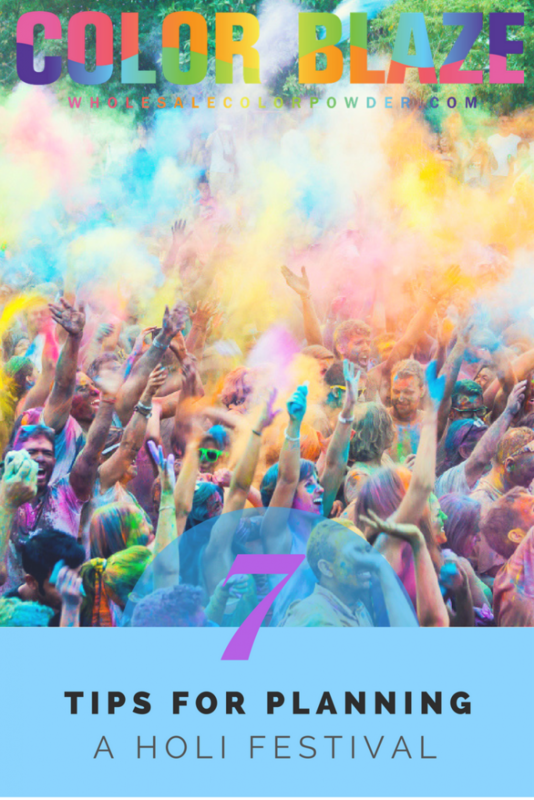 This event is a half day yoga festival to welcome the warm weather and to honor the triumph of good over evil by throwing the colored powder up in the air. 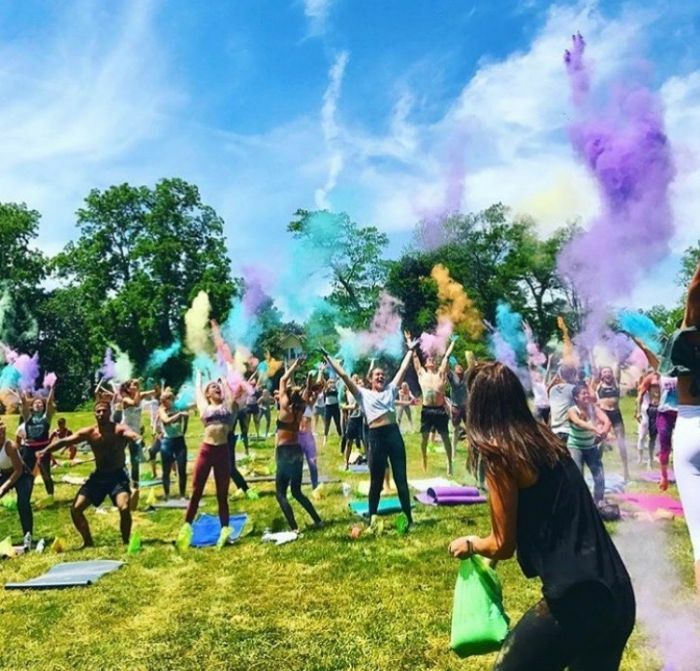 Kara and her team tie these lively traditions together with yoga, philanthropy, food and music. The day is filled with workshops and of course lively colors. The festival culminates with a dance party. You can see the schedule here. 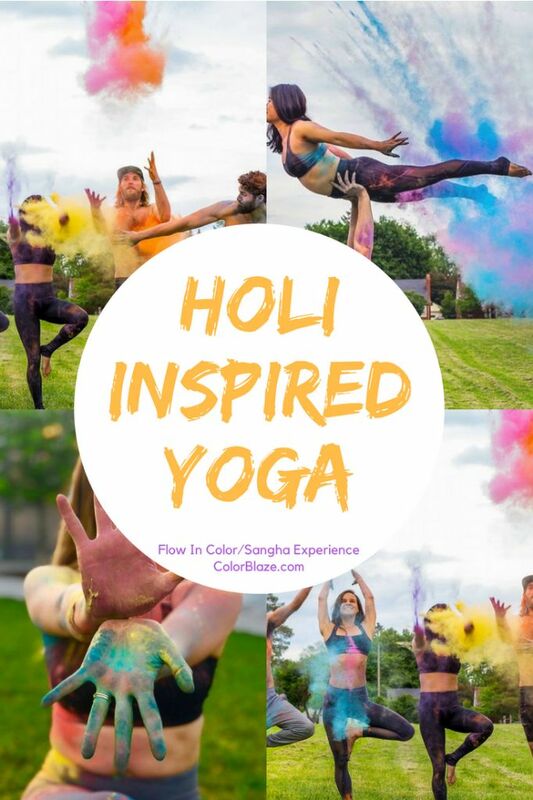 We always say “Throw Kindness Around Like Color Powder!” So combining Holi, Yoga, and Color Powder makes perfect sense to us and looks like a whole lot of fun! 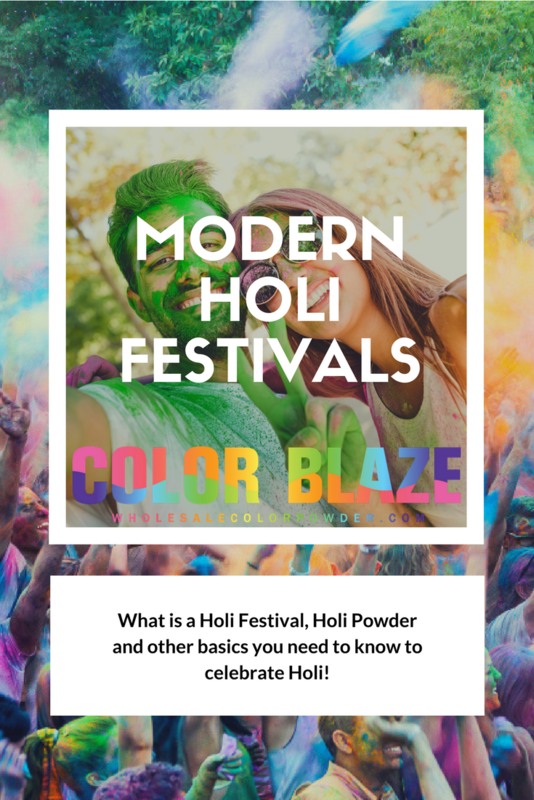 If you would like to know where to buy holi festival powder, visit our shop page .